On 19 May 2017, the Minister of Transportation of the Republic of Indonesia (“MoT”) issued Regulation No. PM 39 Year 2017 regarding the Registration and Nationality of Vessel (“MoT Reg 39/2017”). MoT Reg 39/2017 replaces the previous Regulation No. PM 13 Year 2012 by providing comprehensive requirements and timelines for the completion of applications on vessel registration, transfer of ownership, transfer of hypothec over the vessel as well as vessel historical documents. is lost in accordance with Article 667 of the Indonesian Commercial Code, in which there is no news of such vessel after certain period, namely 6 months lost within Indonesian territory, 12 months lost from Indonesia to Australia, Asia south beach, Africa east beach, Tanjung Harapan, and islands between those countries and Indonesia and vice versa, or 18 months lost for other voyages outside Indonesia to other worlds territory and vice versa, as from its departure date or the date when the latest news received. will be registered in another country. 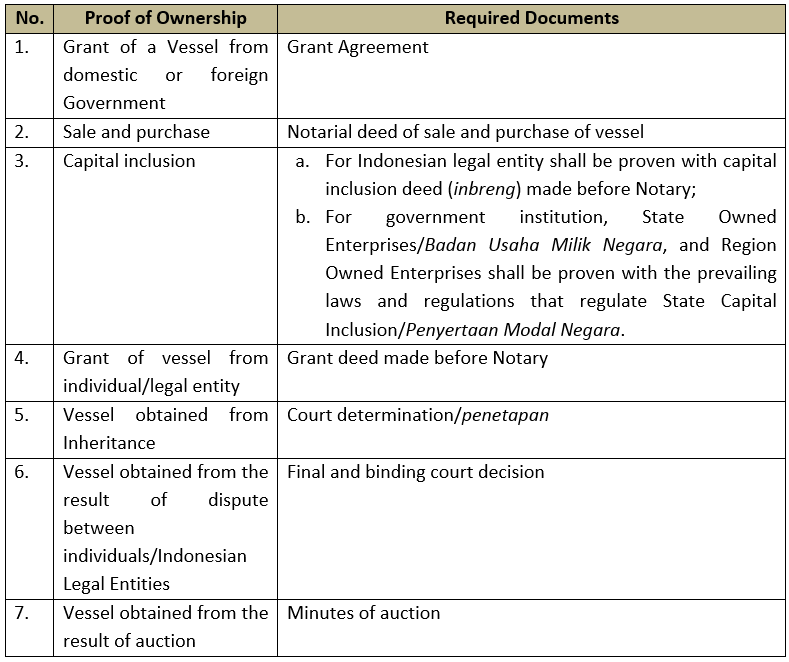 Alternatively, a final and binding court decision may be obtained for the vessel deregistration on grounds that the owner has a criminal conviction. Small Vessel Pass (Pas Kecil) for the vessel as measured less than GT 7. River and Lake Pass (Pas Sungai dan Danau) for the vessel that only sails on rivers and lakes. The above certificates shall be validated by the Harbour Master/Syahbandar on an annual basis. For the River and Lake Pass validation as mentioned in item (d) above, MoT Reg. 39/2017 does not stipulate what documents are required. 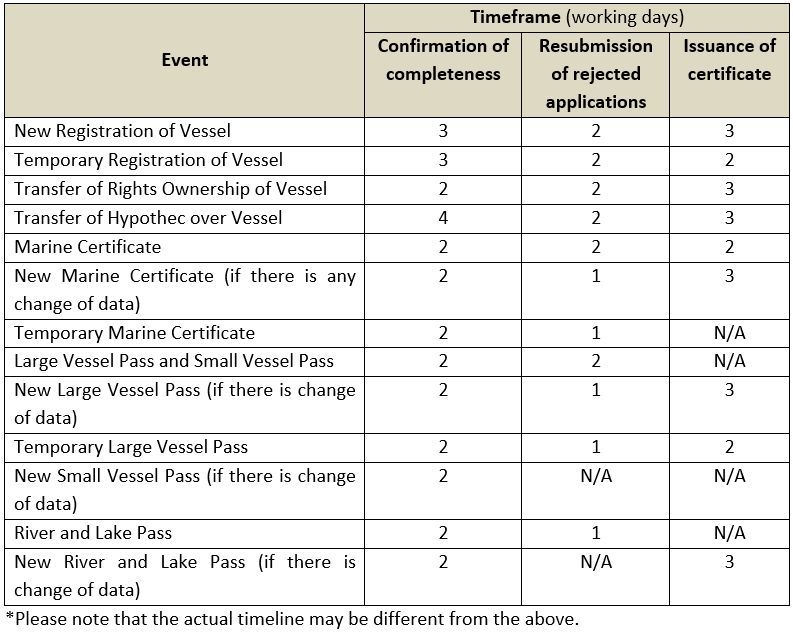 All relevant documents for registration and nationality of vessel must be submitted electronically through Electronic Vessel Registration System/Sistem Pendaftaran Kapal Elektronik ( “SPKE”). National or international non-financial institutions. In conclusion, MoT Reg. 39/2017 provides more certainty to business players in the shipping sector when it comes to registering or applying for licences for their vessels within a specific timeframe. The introduction of the SPKE has facilitated this process further. If you have any questions or require any additional information, please contact Afriyan Rachmad, Evi Pasaribu, Gabriel Cahya Anugrah or the ZICO Law Partner you usually deal with.